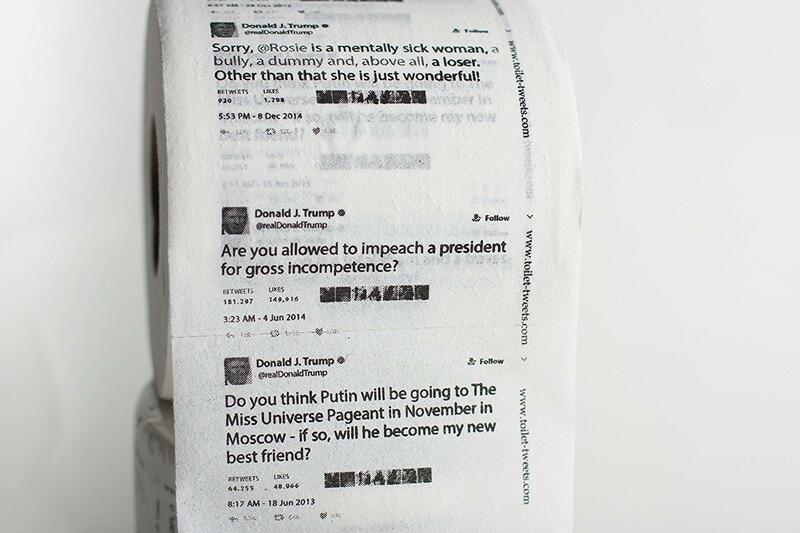 And now, one enterprising company, Toilet Tweets, is allowing people to wipe their bottoms with toilet paper featuring some of President Donald Trump's more questionable tweets. 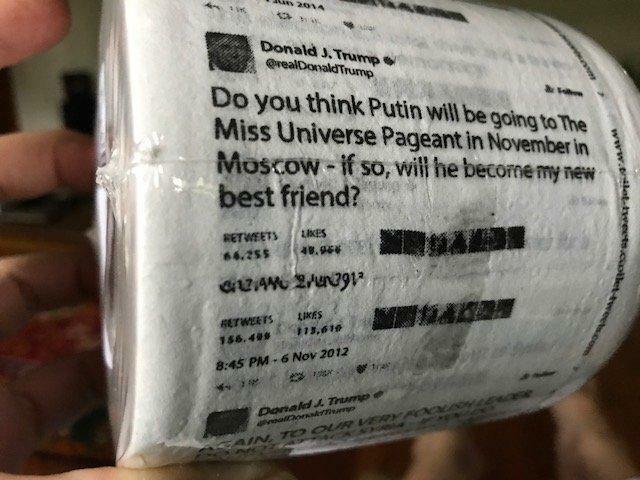 Despite a pretty hefty price of $11.99 for a single roll, the toilet paper has sold out on both Amazon and the company's website. A restock is expected on August 15th, just for reference. "I'm really afraid these will make my backside dirtier instead of cleaner." While another referenced the leaks that seem to be coming out of President Donald Trump's White House on a daily basis. "I was going to order this but was concerned about lack of absorbency and that it may lead to leaks. However it's highly recommended for nights of excessive pee incidents." 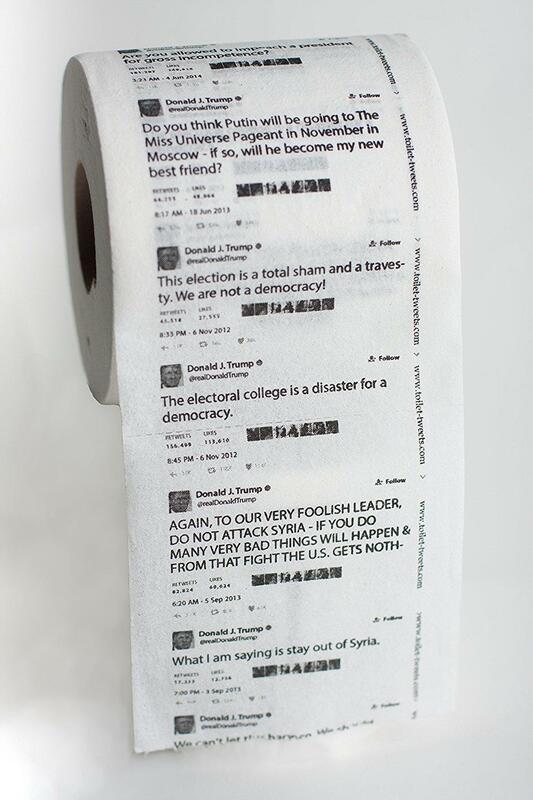 "For the outraged readers/reviewers that rushed over here because of the FOX News story and are... ahem... butthurt about this awful and disrespectful product, understand that there are rolls of TP featuring President Obama's face for sale on Amazon, with 5* reviews going back to at least 2013. It would be hypocritical of such readers/reviewers to rage about this particular product without being likewise offended by the buttwipe featuring our former President." Oh, Amazon. What will you sell next?